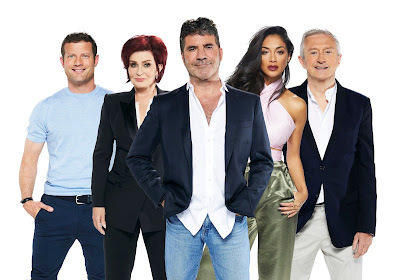 Home / Louis Walsh / Nicole Scherzinger / RTL CBS Entertainment / Season 14 / Sharon Osbourne / Simon Cowell / The X Factor UK / What Makes a Winning Mentor at The X Factor UK? As mentors in their respective categories, judges play a huge part in guiding X Factor hopefuls from song selection to performance style - ultimately so contenders can play the game to their strengths and win the crowd. This Season 14, who among our judges - Simon Cowell, Nicole Scherzinger, Sharon Osbourne, and Louis Walsh - will bag the title of “winning mentor” and raise the next biggest artist to the top of the charts? Catch The X Factor Season 14 every Sunday and Monday at 10:30AM with primetime encore at 9:00PM, same day as the UK, first and exclusive on RTL CBS Entertainment. RTL CBS Entertainment is available on SKYcable channels 53 (SD) and 196 (HD), SKYdirect channel 35, Destiny Cable channel 53 (Digital) and 89 (Analog), and Cablelink channels 37 (SD) and 313 (HD).